On Monday, April 22, join us as we dig in for the first full season of the Maze Branch Sensory Garden. 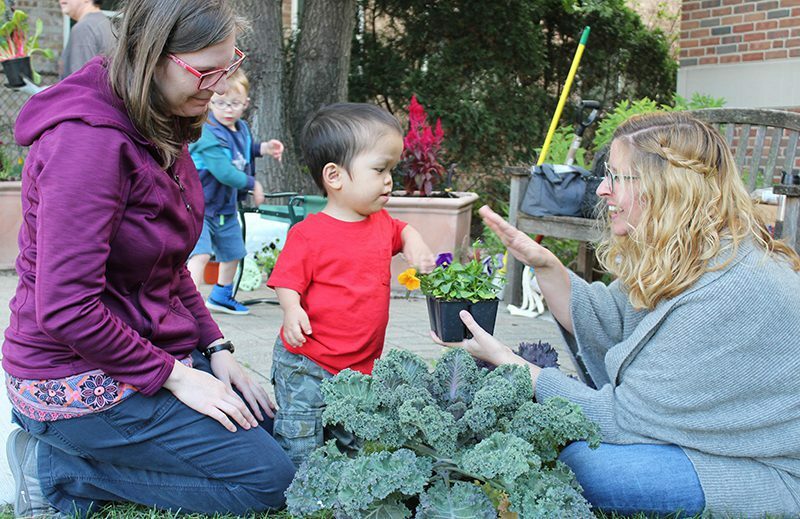 Launched last fall with local families who have kids with disabilities, the garden is completely accessible and offers programs through summer and fall. In September, we launched the sensory garden in the outdoor courtyard on the south side of Maze Branch. In between stories and songs, we created a fairy garden and filled planters with edible kale, brightly colored peppers, and other plants and flowers selected for their texture, color, and scent. This season we’re adding raised beds, and signs identifying the plantings, including labels in braille. “There’s no one way to communicate,” Harris says. 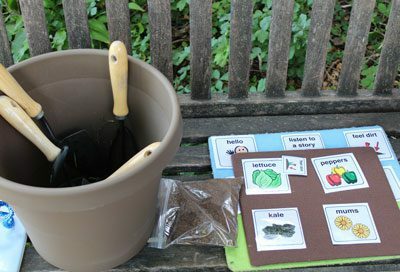 That’s why, among the supports like gloves if you don’t want to touch dirt, pads for kneeling, a bench for sitting, and grips to make tools easier to hold, we have augmentative and alternative communication (AAC) boards showing pictures and words related to gardening. 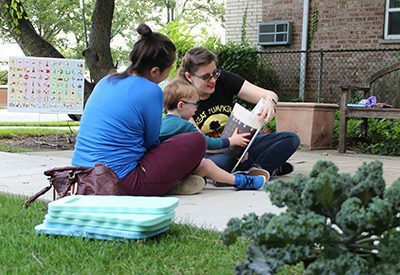 In addition to supported nature play and gardening programs, the library offers programs especially for those with disabilities, including supported cooking, yoga, and musical theater. 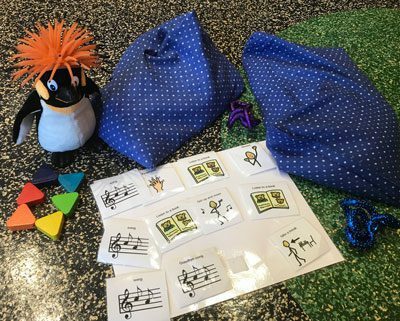 Supports available include weighted pillows, fidgets, visual schedules, scanner pens, noise-canceling headphones, resistance bands, wiggle seats, sensory brushes, and pinwheels (which can serve as a visual cue for deep, calming breaths). To access any of these at the Main Library, just ask at the Children’s Services desk. Mondays, April 22 & May 20, 3:30-5 pm, Maze Branch. Join us to care for the daffodils that have bloomed and start planting new flowers and vegetables. Schedules and supports will be available to help all kids have fun and be successful. Best for families with children who have disabilities. Siblings and friends welcome.